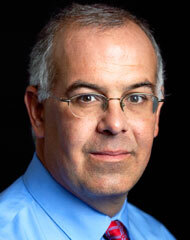 Here is a brief excerpt from an especially thoughtful article written by David Brooks for The New York Times. To read the complete article, check out other resources, and obtain subscription information, please click here. America was settled, founded and built by people who believed they were doing something exceptional. Other nations were defined by their history, but America was defined by its future, by the people who weren’t yet here and by the greatness that hadn’t yet been achieved. American founders like Alexander Hamilton were aware that once the vast continent was settled the United States would be one of the dominant powers of the globe. There was also a religious eschatology — a belief, dating back to the Puritans, that God’s plans for humanity would be completed on this continent, that America would be the “last best hope of earth,” as Lincoln put it. Today there are some conservative commentators and Republican politicians who talk a lot about American exceptionalism. But when they use the phrase they mean the exact opposite of its original meaning. In fact, they are effectively destroying American exceptionalism. These commentators and candidates look backward to an America that is being lost. Ann Coulter encapsulated this attitude perfectly in her latest book title, Adios, America. This is the philosophy of the receding roar, the mourning for an America that once was and is now being destroyed by foreign people and ideas. During George W. Bush’s first term there wasn’t much difference between how Democrats and Republicans viewed the overall immigration levels. Republicans were about eight percentage points more likely to be dissatisfied with the contemporary immigration flows. But now the gap is an astounding 40 percentage points. Eighty-four percent of Republicans and 44 percent of Democrats are dissatisfied with the current immigration level, according to Gallup surveys.